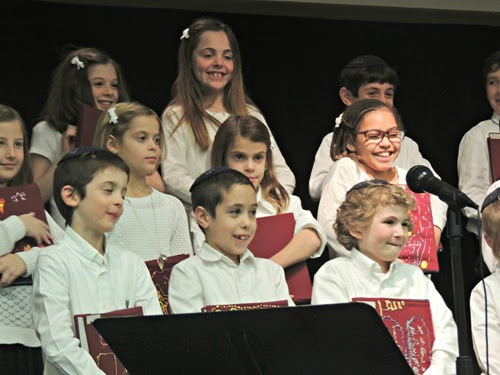 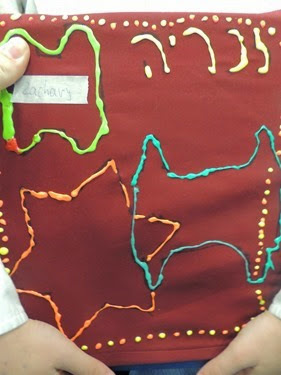 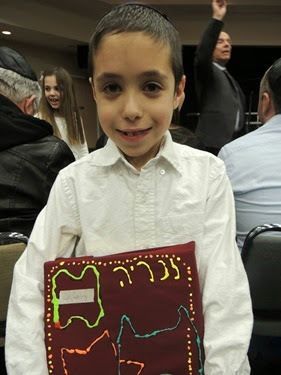 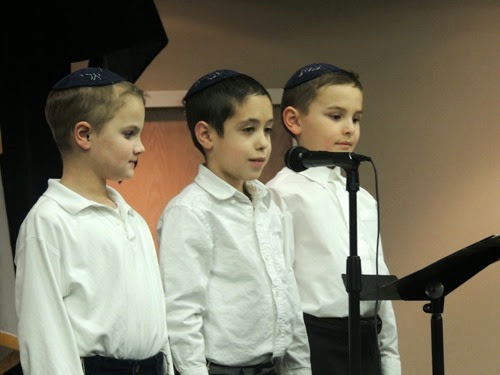 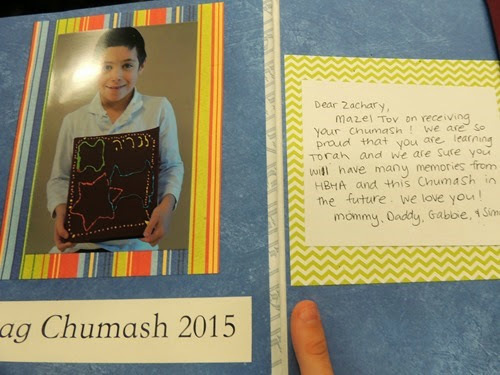 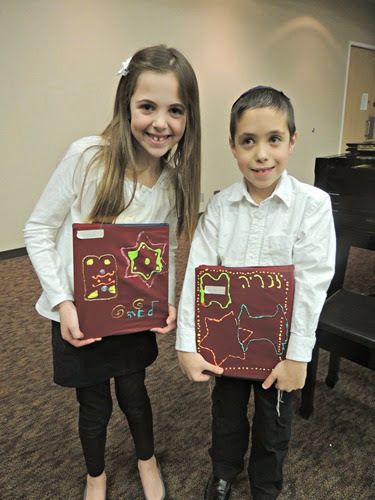 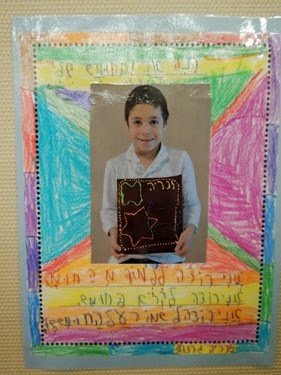 Last week, Zachary and his class had their Chag Chumash – the celebration where they receive their chumash, which is the Torah in printed form. 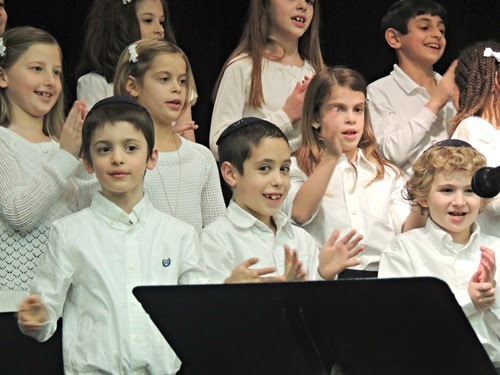 The kids put on a performance which is almost entirely in Hebrew. 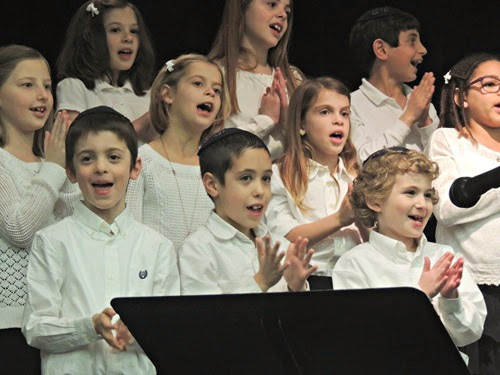 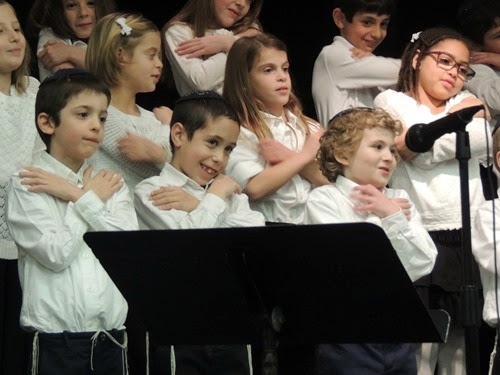 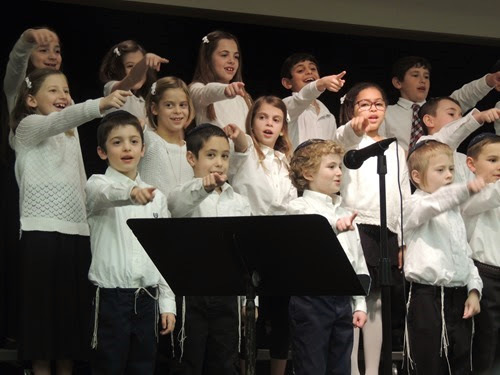 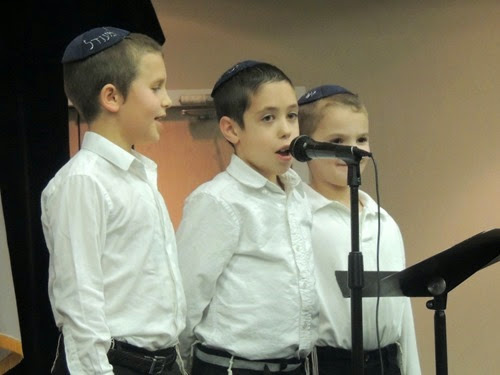 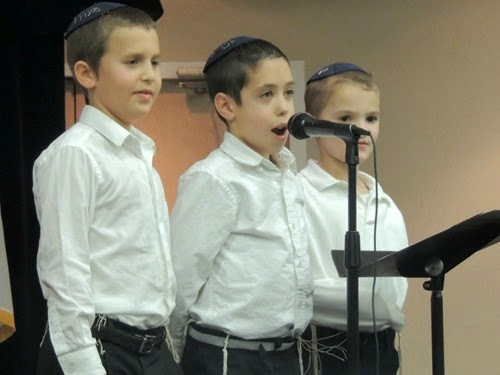 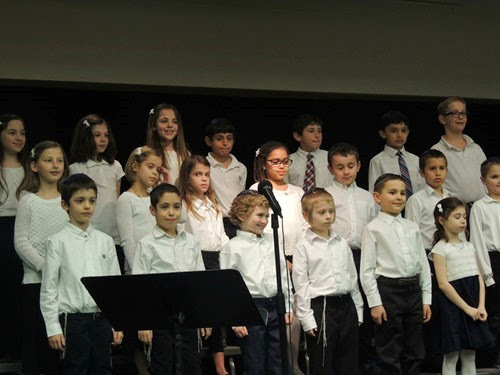 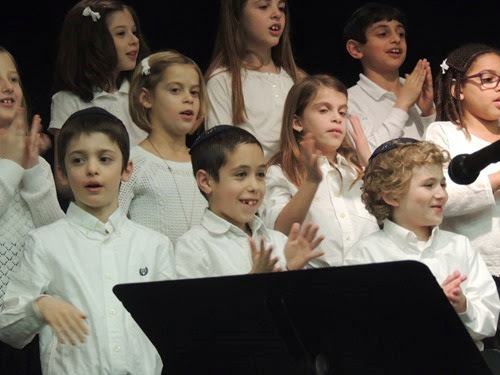 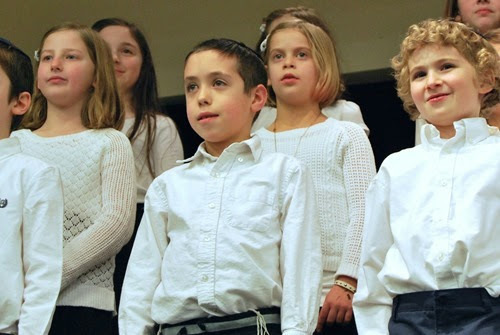 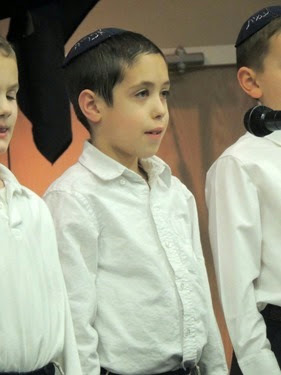 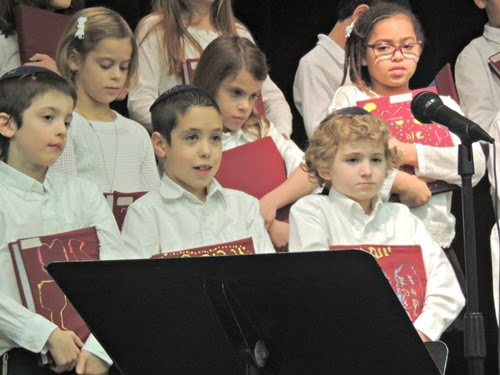 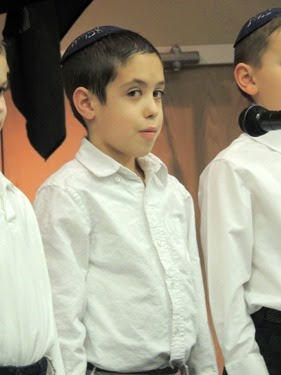 Each child had a speaking part (Zachary said two lines in Hebrew and one in English) and they all sang together. 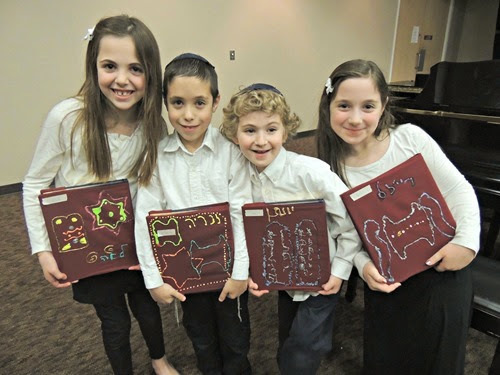 Then they all received their books. 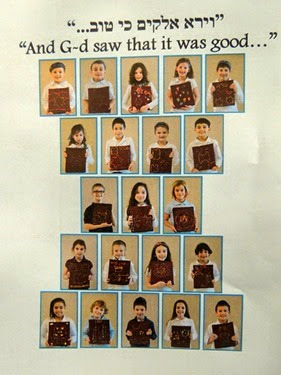 A picture that was on the wall and the back of the programs. 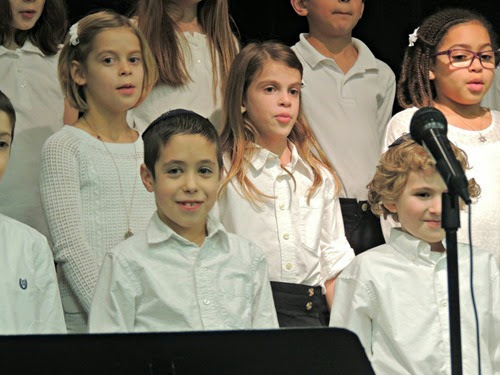 Zachary is second from left in the front row. 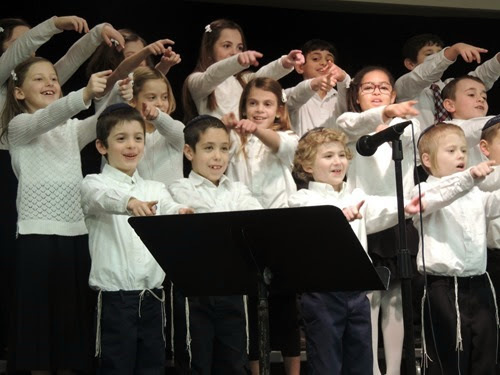 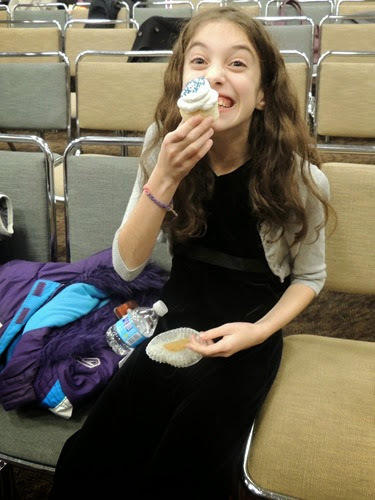 I always love these school events where we can see how much the kids have learned and grown!